Home » holidays , valentines day » It's Valentine's Day! 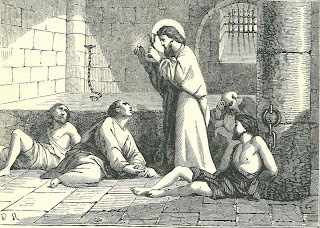 Saint Valentine was a Christian who was imprisoned, gruesomely tortured, and finally beheaded on orders from Emperor Claudius II of Rome on February 14th, 270 A.D.
Lord only knows how we came to remember the occasion by giving cards, candy and flowers. HAPPY VALENTINE'S DAY from The Knight Shift!